You have been identified as either an interested party or potential stakeholder having interest in 8 CCR 1507-43, Rules and Regulations Concerning the administration, criteria, and time frames for applying for and distributing funds associated with the Reserve Peace Officer Academy Grant Program. Pursuant to Section 24-33.5-1616 C.R.S., the Division of Homeland Security and Emergency Management shall promulgate rules and regulations concerning the administration, criteria and time frames for applying for and distributing funds associated with the grant program. DHSEM has created a draft of the grant program rules for purposes of public comment and hereby invites all interested parties and stakeholders to do so. Included with this letter is a draft copy of these rules for you to consider when making comments or developing your response. Written comments on these rules are invited and will be received for a 30 day period from the date of this letter, through August 28, 2017. 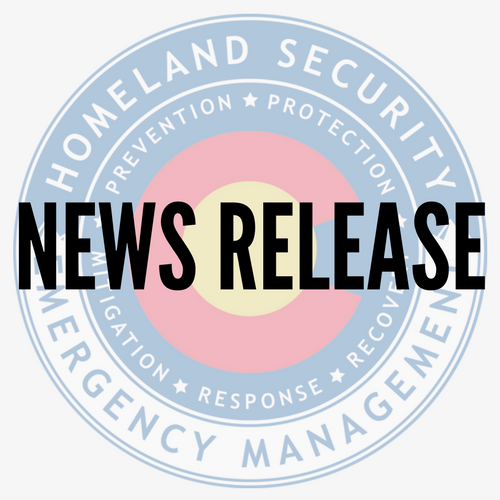 Comments sent by U.S. mail should be addressed to the DHSEM at 9195 E. Mineral Avenue Suite 200, Centennial CO 80112 to the Attention of Amy Shish; comments sent by email may be sent directly to the DHSEM Rulemaking Coordinator, Amy Shish, at amy.shish@state.co. us. The Division of Homeland Security and Emergency Management is committed to maintaining clear and open communication with all stakeholders and otherwise interested parties throughout this rule-making process. We thank you for your support and commitment to this process. Please do not hesitate to contact Amy Shish with any questions. View or download the original letter sent to stakeholders from DHSEM Rulemaking Coodinator. View or download 8 CCR 1507-043 proposed for adoption. View Senate Bill 17-096 concerning creation of a grant program to support a shared peace office auxiliary and appropriation.